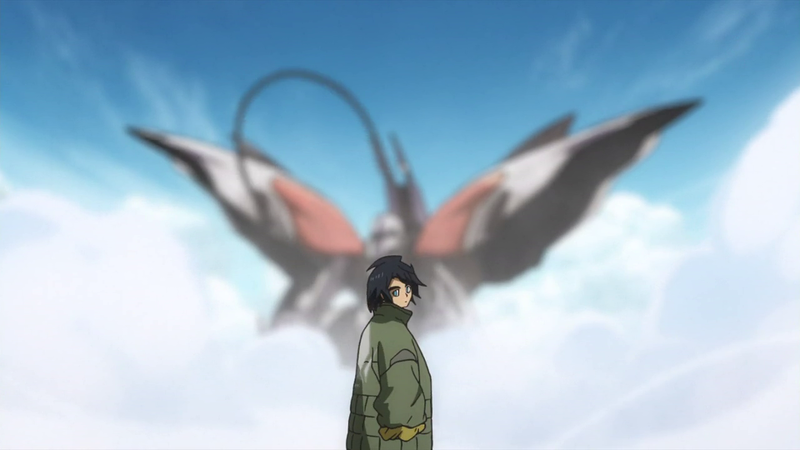 When was the last time a massive mobile suit/mobile armour in a Gundam series generated such a sense of ominous dread? I mean yeah, Build Fighters had the Giant Zaku, but nobody was gonna die from that; Gundam SEED Destiny had an alright thing going with the Destroy before it became a mass-produced grunt unit alongside other Earth Alliance MAs; Ein was only fine in the first season of this; and Gundam Age. Here, the mobile armour that awakened last episode begins a quite impressive swathe of destruction, getting nary a scratch from the Iok’s team. However, instead of going head first into the fighting the thing, we get a planning episode for the most part. There’s a palpable sense of uncertainty in the air and this episode does a great job laying it on the viewer, so much so that the end of the episode leads to actual legit disappointment since it truly was getting good near the end. Since there is no human element (as far as we know) to it, the mobile armour’s ultimate goal of eradicating actual humans makes for its behavior to seem pretty predictable. Yet the show makes that advantage to be rather moot when confronted with human unpredictability. A seemingly innocuous case is when Hush and Mika try and get Kudelia and Atra out of the city. To us, the two would never cut and run, but to Hush it surprises him. I’m sure he assumed job shadowing Mika would just entail the usual rigmarole of being a great mobile suit pilot, but now he is being exposed to the iron-blooded hearts of some Tekkadan members. Whether it will change him for the better or give him something to fight for I am not sure, but I’m curious how such observations and interactions will change him in the end. He is still the most interesting character out of the new Season 2 batch, and we are about halfway done with the show. I hope something comes of this. Same with Mika emoting a bit more. That part where I thought Mika’s eye was trembling in fear last episode, he seems to have gotten over it in this one, and is his usual self. Maybe he hides it. Who knows? Of course these bits of unpredictability are nothing compared to the full blown idiocy of Iok. How did this guy ever get to be part of the Seven Stars? I get the idea he cared for his subordinates when they sacrificed themselves to the mobile armour, but instead of living to fight another day he witlessly instigates the ultimate tragedy of the episode. His eager shot at the mobile armour causes it to veer direction towards an agricultural complex. Then Ride appears and takes the brunt of the beam blast, and just when you think he’d get vapourized, the beam just gets diverted thanks to mobile suit armour tech being surprisingly effective against beam damage, and instead hits the agricultural complex instead. And now I don’t really know what to think anymore, since the episode not only ends on that note, but also Vidar/Galli-Galli encountering Macky and his subordinate, Isurugi. I’m just going to shut up now until next week, the suspense is killing me. 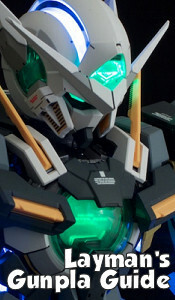 Apparently Macky kept the Grimgerde, refurbished it into a Gjallarhorn-themed machine, and handed it to Isurugi to pilot it. Does Vidar know he’s no longer using the Grimgerde and is Macky going to sacrifice Isurugi the next week? Oh dear. Also it seems the first season concluded its run on Toonami last night. Hope it did a good enough job on the ratings.